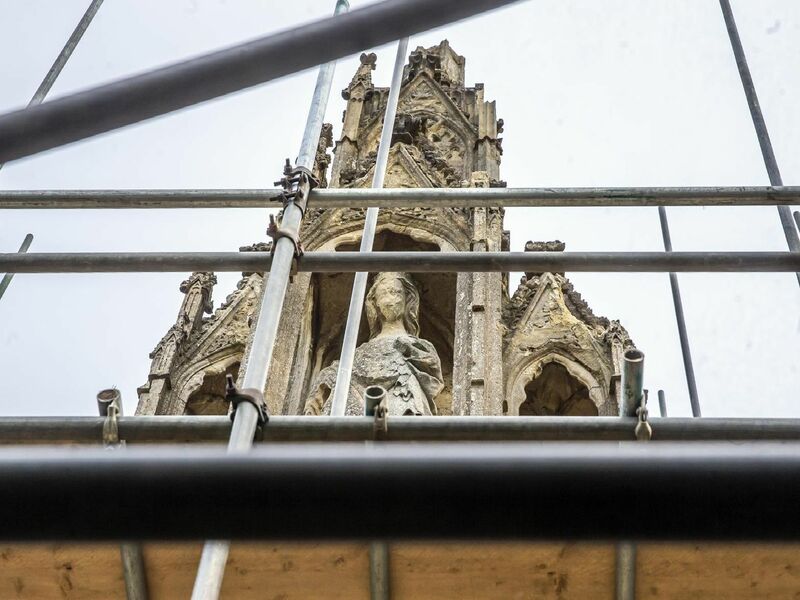 After two years of negotiating, scaffolding has finally gone up around the Eleanor Cross as specialist architects plan to secure the stonework from further damage. Work has started to secure the crumbling Eleanor Cross in London Road. Conservationists have been calling for the cross to be repaired for years. Historians feared the cross would 'not survive another winter' and have called on the borough council to secure it. One concerned historian spotted chips of stone on the base of the cross where it had crumbled off.